Rentals for condominium and private apartments dipped 0.6 per cent and this trend of a tenants’ market may extend into 2016, affirmed by leading analysts. Private rental volume fell slightly in May. 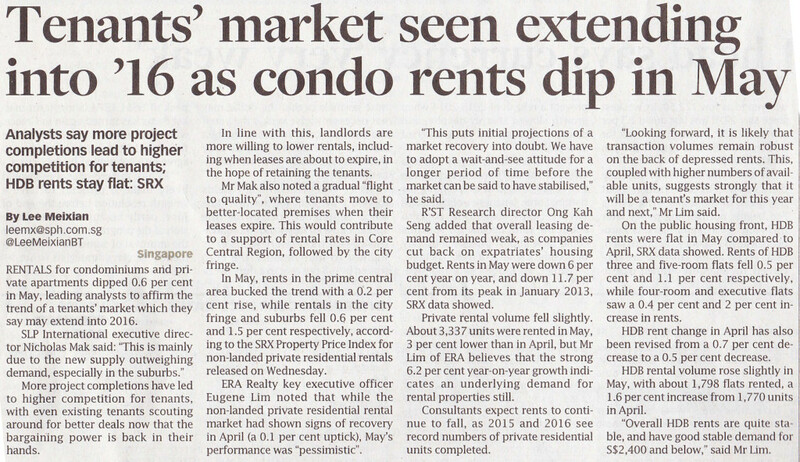 On the public housing front, HDB rents remain stable in May compared to April, SRX data showed. Point to ponder: Will reduction in rents affect negatively on the property valuation of properties? Developers face hefty extension charges over unsold units.